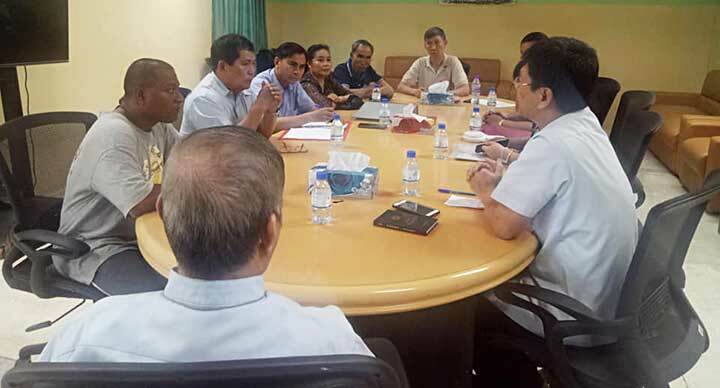 Phnom Penh, Cambodia, 12 April 2019 -- On 7 April 2019 Mr Dominic Pornsawat Lim and myself (EAO regional Delegate for ASC) visited the Salesian Cooperators in Cambodia (Don Bosco Phnom Penh Center). We arrived in Don Bosco Phnom Penh in the morning. At 11.00 a.m. we attended the Mass in the chapel of the DB Technical School. In the afternoon at 2.00 p.m. there was a meeting of the Salesian Cooperators of this local center, Don Bosco Phnom Penh. Together with 8 Salesian Cooperators, the meeting was also attended by Fr. Leo Ochoa (former ASC delegate) and Fr Charles Arun Michael (present delegate of Don Bosco Phnom Penh Center). Mr. Pornsawat and myself presented the different levels of mission and formation in the Association of Salesian Cooperators . At the end we talked about the East Asia - Oceania Region which consists of 8 different Provinces (Australia, China, Philippines North, Philippines South, Japan, Korea, Thailand and Vietnam) together with many centers not yet established asa province in different countries like, Samoa, Solomon Islands, PNG, Timor Leste, Indonesia, Mongolia or in other EAO countries where the first Salesian Cooperators are only now being formed - Myanmar, Fiji, New Zealand or Pakistan. 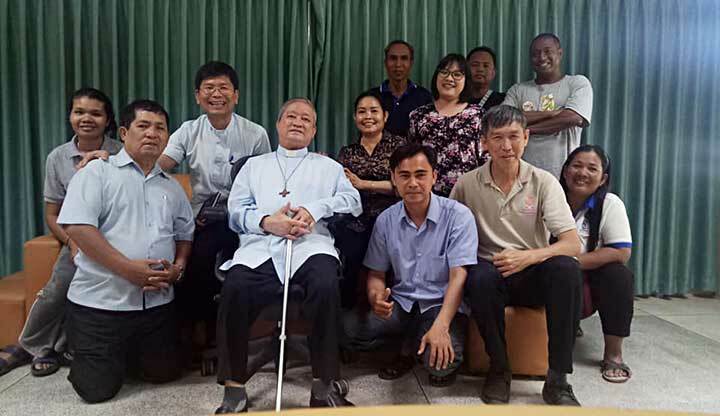 The Main goal of our visit was an invitation to the Cambodia Salesian Cooperators to join the 2019 EAO Formators Workshop which will be held in Don Bosco Sihanoukville during May 24-27, 2019 and the various preparation are going on for past six months. 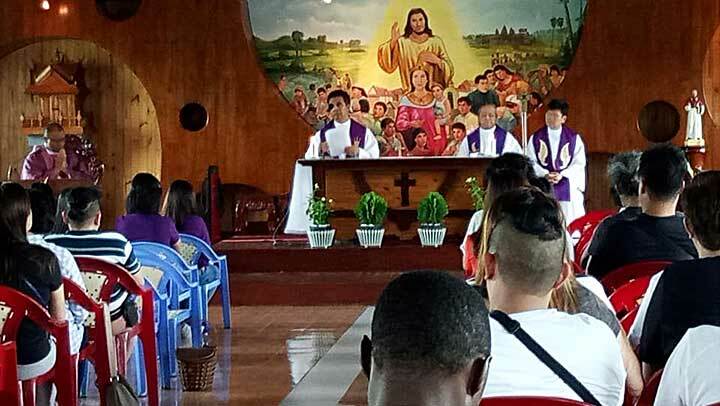 There are 25 Salesian Cooperators in the Phnom Penh Don Bosco Center: four of them made their promise on 24 January 2008, five made their promise on 24 May 2008, three made their promise on 3 December 2010, eight ASC made their promise on 2 May 2012 and finally five of them made their promise on 24 May 2014 with the accompaniment of Fr. Leo Ochoa, their former Delegate.